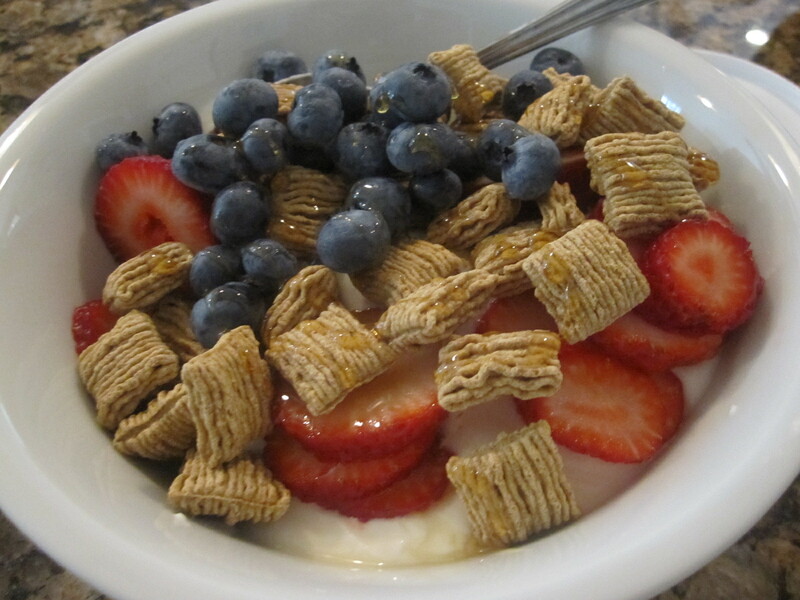 Yesterday after a great 4.5 miler, I assembled a yogurt bowl: with a twist! And one tub (only 120 cals per tub) of fromage blanc! I first found out about this creamy, tart cheese from Ina Garten (aka my obsession). She used it as a dessert and topped it with fruit, and said it was like yogurt but also with a cream cheese taste to it. I took her word for it and dumped the entire tub on my bowl. My verdict? It does taste like yogurt and cream cheese! But it also smacks of mascarpone, which thankfully I like. So…I give it the thumbs up! Thank goodness because I have another tub of it! 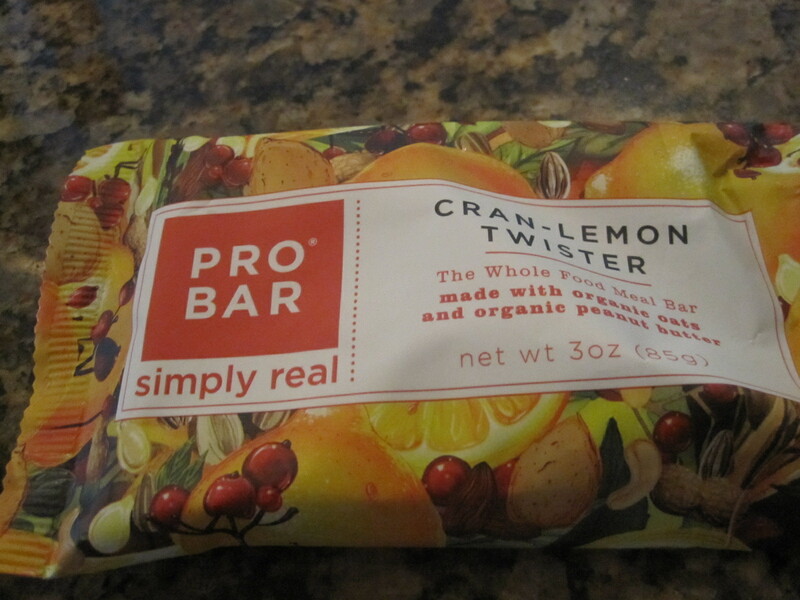 Lunch was eaten on the run, at work: Lemon-Cran Twist ProBar and 1 peach. I hated having to eat this for lunch but it was delicious nonetheless! It was like eating a lemon bar. And I had ordered a grilled chicken salad with broccoli from work, and ate it while watching the final dress rehearsal. 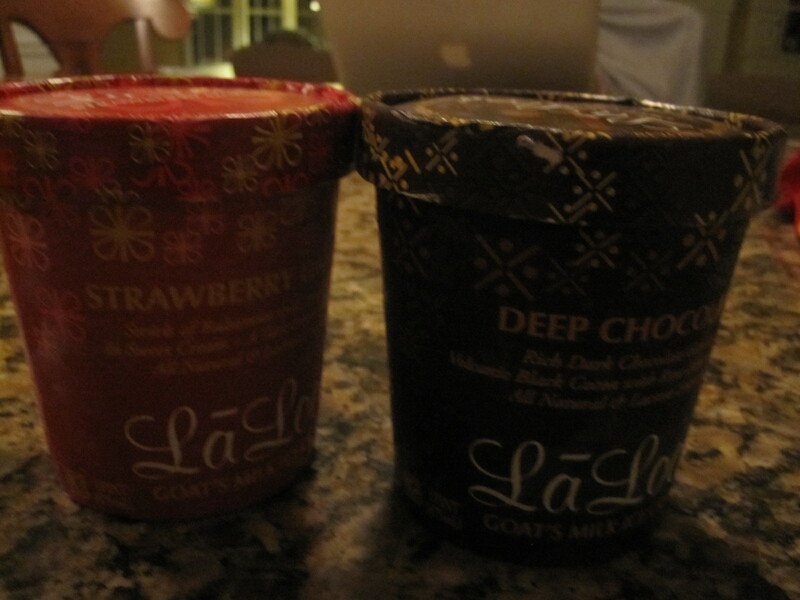 I then came home and enjoyed a bowl of two different goat’s milk ice creams from my favorite company, LaLoo’s. I had a scoop of each, along with a tiny bowl of cherries, and LOVED IT. The Strawberry one is absolutely amazing! The balsamic reduction running through it is nothing short of genius. And the Deep Chocolate is amazing as well, but I wish it had had chunks of chocolate or something. It was still great, though! 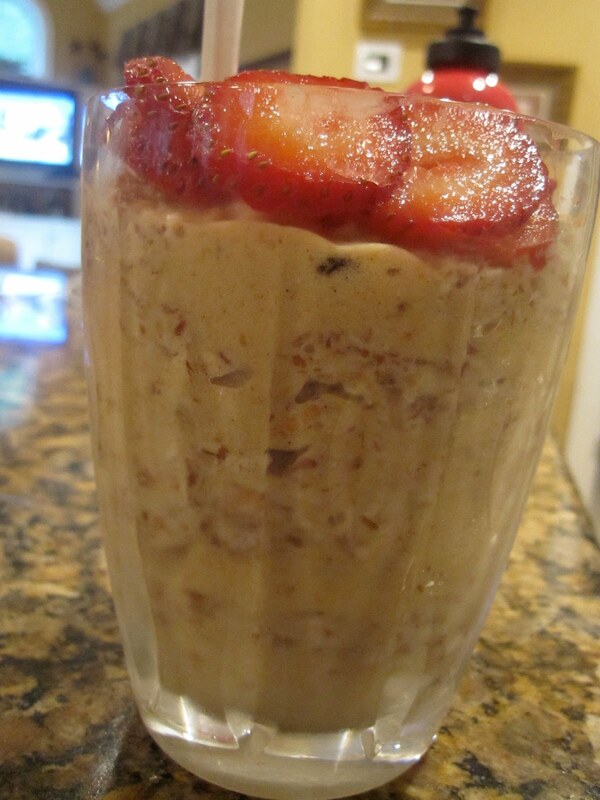 This morning, I woke up a little late and enjoyed this VOO (Vegan Overnight Oats) Parfait while watching The Today Show. 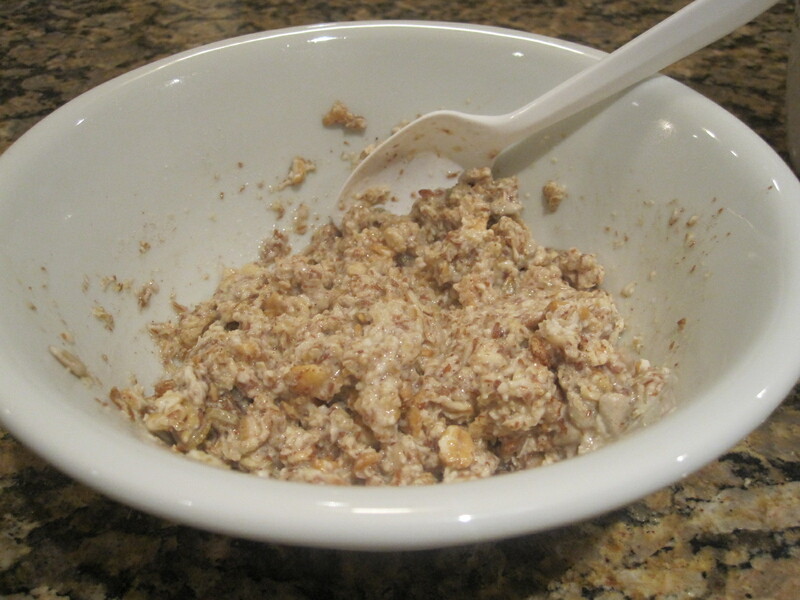 Last night I combined 1/4 c Bob’s Red Mill Muesli, 1/4 c Bob’s Red Mill Bran Hot Cereal, 1tbsp Bob’s Flaxseed Meal (can you tell I’m in love with Bob?!) and 1/2 c Silk Almond Milk. This morning, I made Peanut Butter Banana Vegan Soft Serve with 1 medium-sized ‘naner and 1tbsp Peanut Butter Co. Cinnamon Raisin Peanut Butter. Layer, top with strawberries, and stuff it into your gullet. Guhhhhhh. Absolute perfection. I also put a few shakes of cinnamon and nutmeg into the oats! 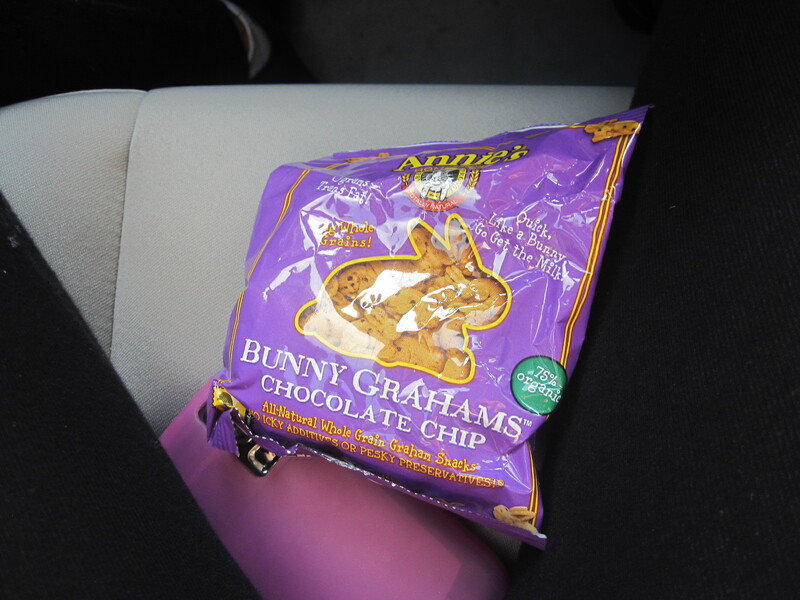 My lunch, once again, had to be eaten on the run. Or rather, in a theater seat! My children’s play opened today so I knew I wouldn’t be able to eat a full on lunch. So I decided to pack a few options. 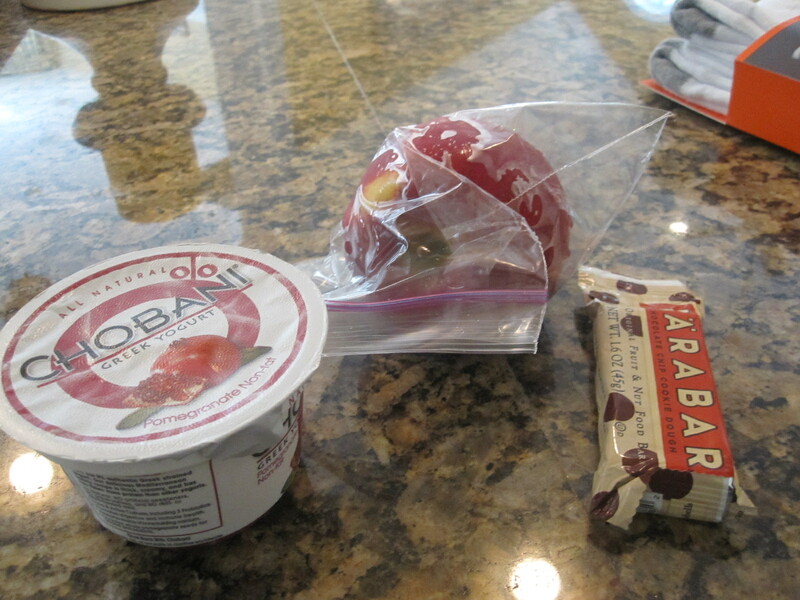 I ate a Pomegranate Chobani, fuji apple, and a Cookie Dough Larabar!!!! I’d thrown that baby into the freezer last night and I am so glad I did! This thing was phenomenal! 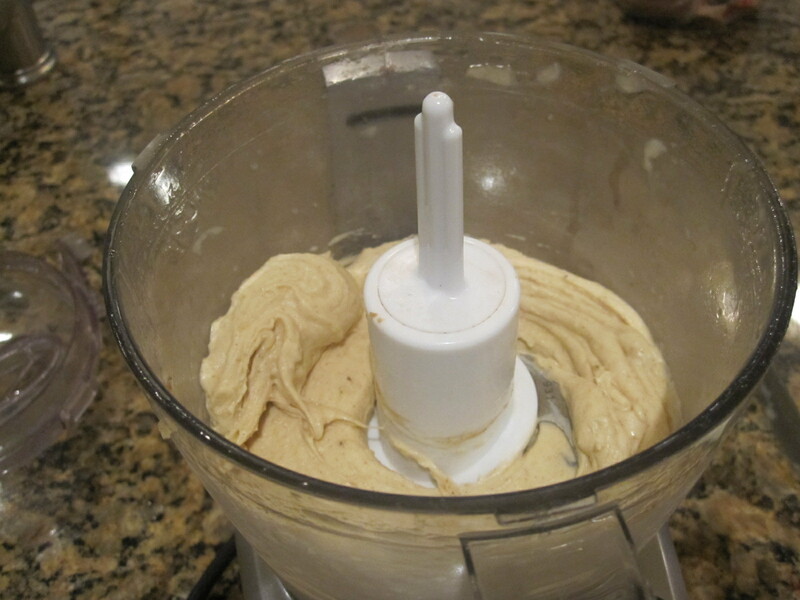 Not exactly cookie-dough, but a pretty damn good approximate! After the show, I came home and did 35 minutes on the elliptical, then enjoyed a great Power Yoga class! During the practice I felt amazing, if a little tired. At one point we went into a tilted pose, similar to Boat, and I could feel my abs shaking! I looked forward for a second and caught my teacher’s eye, and she said, “You can do it.” And I did it! I just wish we could’ve done full wheel! Afterwards, I felt strong and cleansed. Perhaps a little too cleansed. I was like jell-o afterwards! 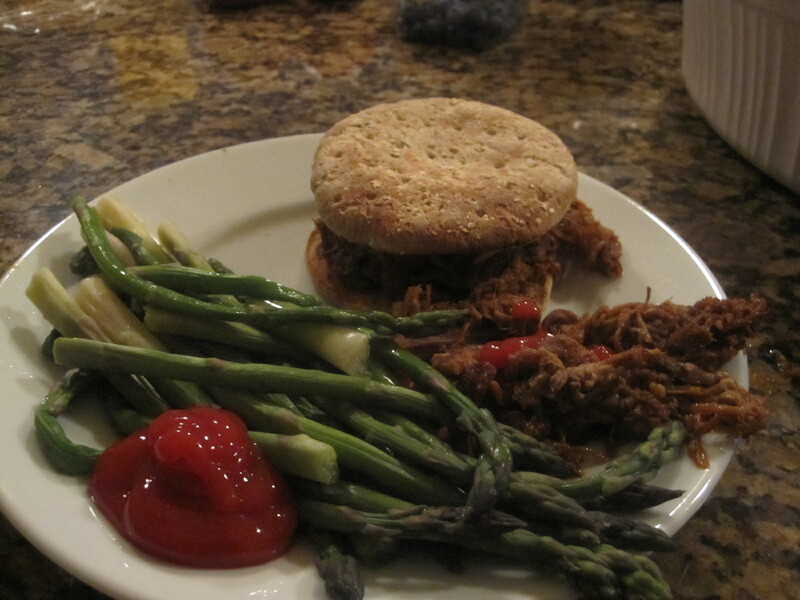 I more than deserved this pulled pork sammie, right?! Oh, this was so freaking good. It’s the last time we’ll be able to eat it because it’s been in the fridge for a while, so Mom said tonight was the last night for it. Um, don’t mind if I do. Also, I may have taken a huge chunk more from the pot and eaten it cold. Because I’m gross. I just popped some dark chocolate, and I’m thinking about having some more cherries. I’m still hungry! 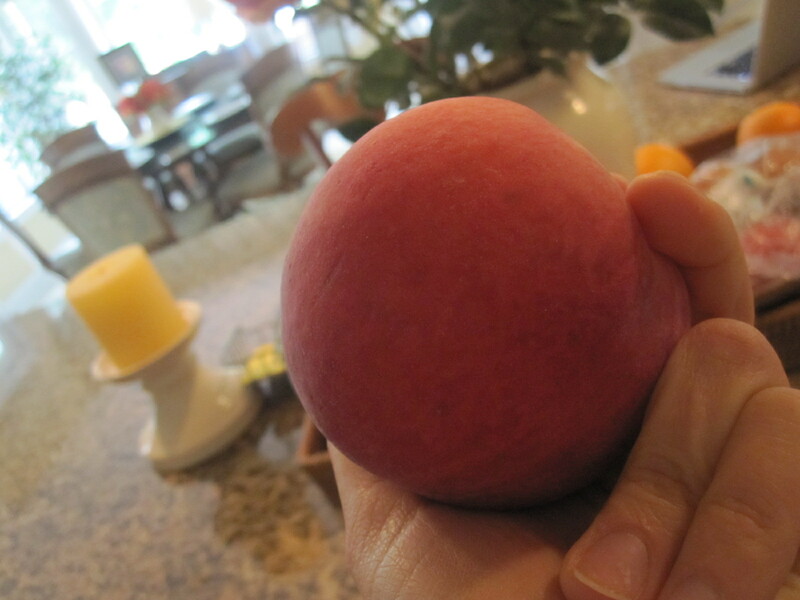 I will eat them until they are no longer in season, dammit!